Time to sell your Edgewater West condo? Read about today's resort-market condo buyer. 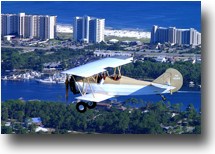 Edgewater West condos are located in the popular West Beach area of Gulf Shores, Alabama. This development is minutes from the public beaches and the Gulf Shores Hangout. All of the condos in Edgewater West are offer uninterrupted views of the beautiful emerald-green waters and white-sand beaches of the Gulf of Mexico. Edgewater condo development is comprised of 43 Gulf-front units built in 1984. The Edgewater West offers an outdoor gulf-front pool, common lobby, and is pet-friendly. Floor plans in the Edgewater West are two- and three-bedroom condos ranging in size from 1,100 square feet to approximately 1,440 square feet. The gulf-front condos at the Edgewater West would make a great second home or rental/investment condo. Its central location in Gulf Shores make Edgewater West an ideal spot for both guests and visitors to the area. Please let us know if you would like additional info for Edgewater West or would like to schedule an appointment to view current listings in Edgewater West or any other condos in the Gulf Shores area by emailing info@condoinvestment.com or calling (251) Area-Pro for immediate assistance. Click here for aerial photos of the Edgewater West condominium in Gulf Shores, AL.